I spent the weekend being “snowed in” up in the mountains. It was glorious! 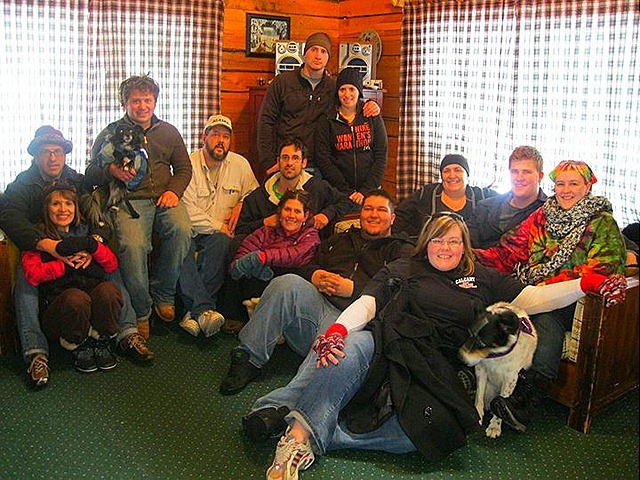 A whole house of family + lots of snow + good food = good times! The first thing on the agenda was to get in a little “hill training”. 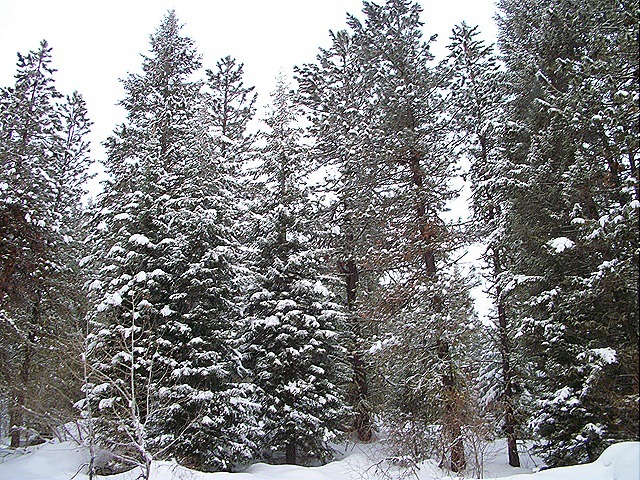 I think snowshoeing is a great alternative to running – don’t you think? I really worked up a sweat climbing those hills. But the beautiful scenery made it so worth it! Even Ama the dog came with us. 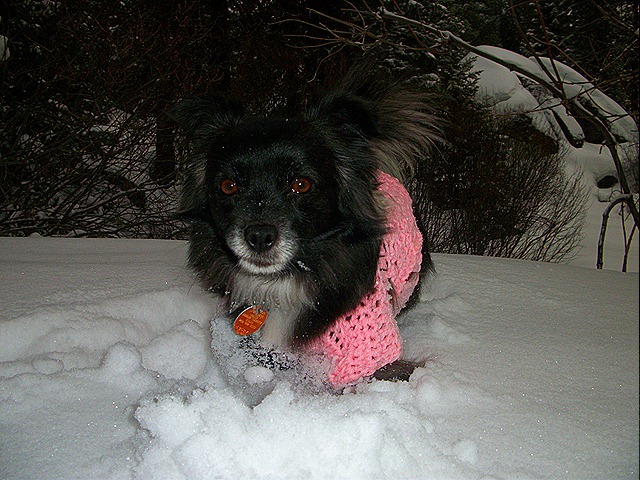 She rocked the pink sweater and had a great time jumping through the snow. 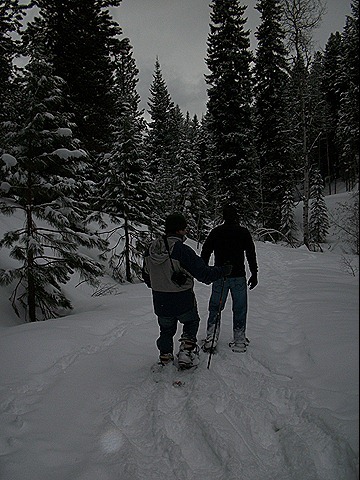 There is nothing like snowshoeing, that is for sure. It’s just so refreshing and beautiful all while getting in a bit of a work out! 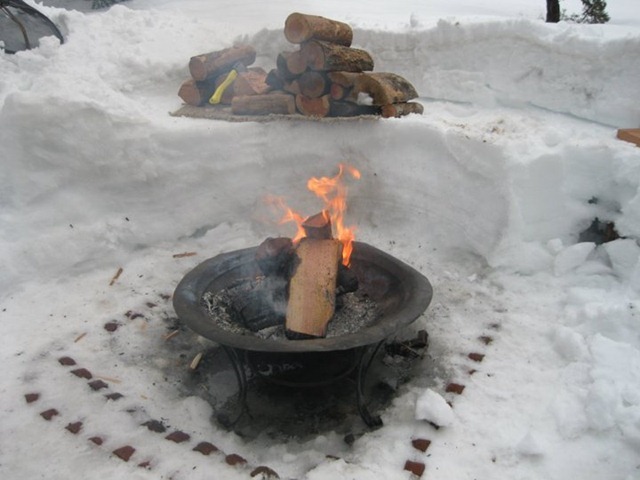 Once we arrived back to the cabin we decided to start a fire. We sat around the fire playing games and doing what you normally do around a camp fire…make S’mores! My Aunt thought this was a perfect pic for the bloggo. 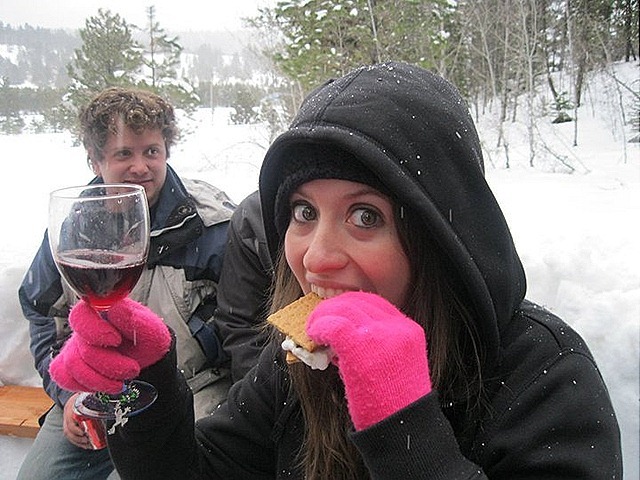 Yah so – I was drinking wine and eatin’ smores all after a lovely snow hike. I enjoyed every second of it! 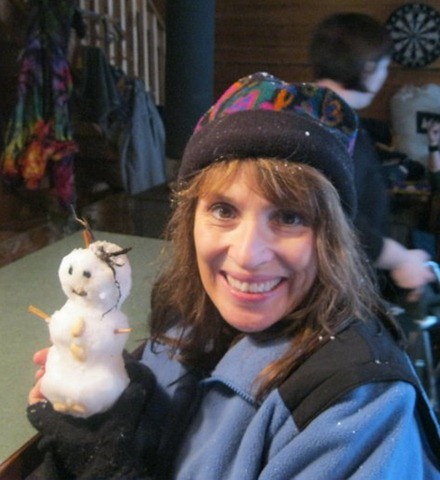 My mom spent the time making a miniature snow man while my cousins built a snow fort. The rest of the weekend included some very intense cribbage games, mancala games, snow ball fights, and just good old family fun. It was so nice to chillax for the weekend and leave the city for a few days. I will miss this view for sure though. Before this trip all I wanted was warm running weather, but now I have a better appreciation of the seasons and miss this beautiful blanket of snow. 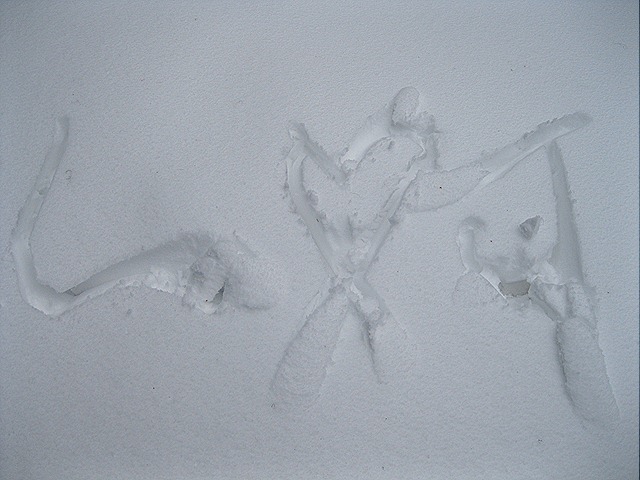 Have you ever used Yaktrax for running in the snow? 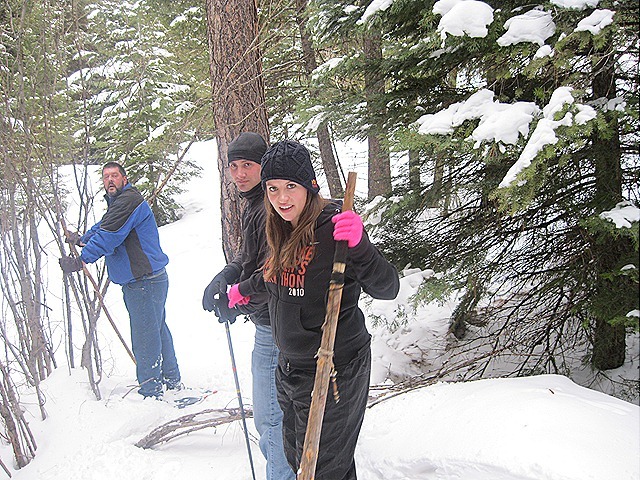 Or partaken in a snow shoeing adventure? You can read about my last snowshoeing adventure here. 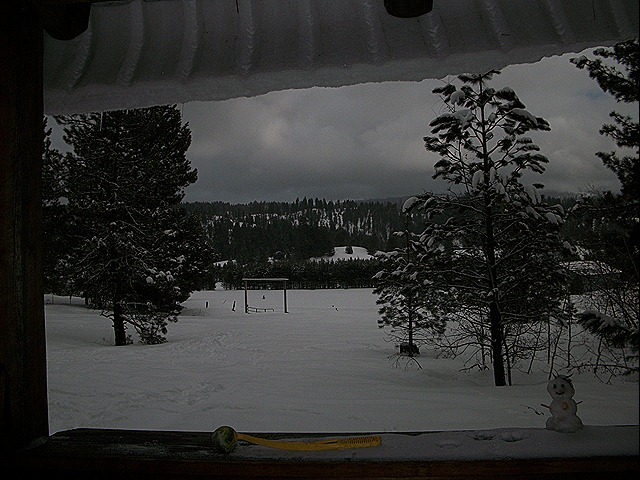 This entry was posted in Family and tagged Snowshoeing by The Linz. Bookmark the permalink. Love the pics! Looks like tons of fun! This is my 4th snowy Canadian winter of running and I’ve still never tried the YakTrax! I’ve never snowshoed either. Looks like a fantastic weekend away! What a beautiful place to be snowed in. Love the pics! Wow Linzi! That was a great weekend you’ve had. I enjoyed the photos. We usually don’t get snow at all here in Holland but this season and last season we were “blessed” with it. If we have snow again next year I will try the yaktrax because I want to keep running outside the whole year through. Looks like you and the fam had so much fun. The pictures were great. 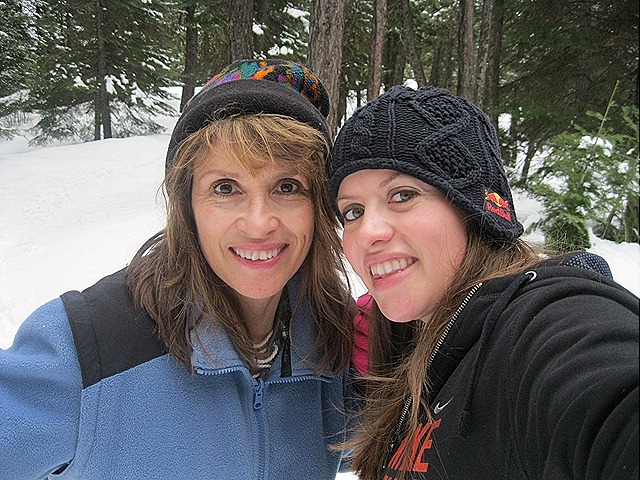 Snowshoeing is not for wimps…whew! It is such a great workout because you can go where no man or woman dares to go…right up the side of that hill!! I’m not a skier at all but have found my winter love in the snowshoe! despite being from canada, i have never been snow shoeing. it sounds like a blast tho. and it looks like a killer workout. and yes pls, can we have a virtual run. 10k sounds great. i really need it! 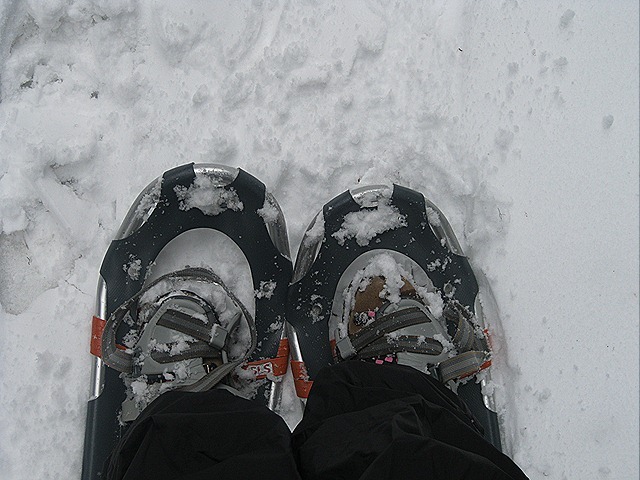 I really want to try snowshoeing one day – looks like you had a great time! In highschool we used to go out and snowshoe for gym, it was so much fun! We would race and play games of capture the flag… I haven’t snowshoed since but I was thinking about picking up a pair at the end of the winter when they’re marked down. I’ve never really dealt with snow. 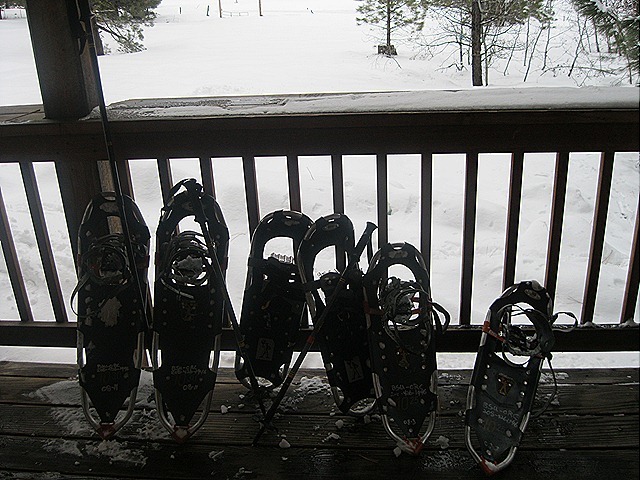 I want to go snowshoeing. It looks like you guys had a ton of fun! I’ve never gone snowshoeing before, but I really want to. I just need to get out and do it! Looks like you and your family had a fabulous weekend away! Your pictures are beautiful, and Ama is such a cute dog! I do have a pair of YakTrax! But I only use them in about 1-3 inch snow. I am not sure if they would help in the deep snow. Wear those snowshoes! What a fun trip. I love all the pics, especially the mini snowman and smores!